So the past few months have been a little busy (understatement of the year). Between almost non-stop travel for friends’ wedding weekends, a full summer social calendar, and plenty of late nights at the office, my husband and I haven’t been the best at making sure we eat healthy dinners. I spent one of my rare weekend afternoons at home going through my pantry, fridge, and freezer and cataloging every item in each of them. This is my “in stock” list. Then I threw out anything past it’s expiration date and scrubbed all my shelves and bins before organizing what we had. 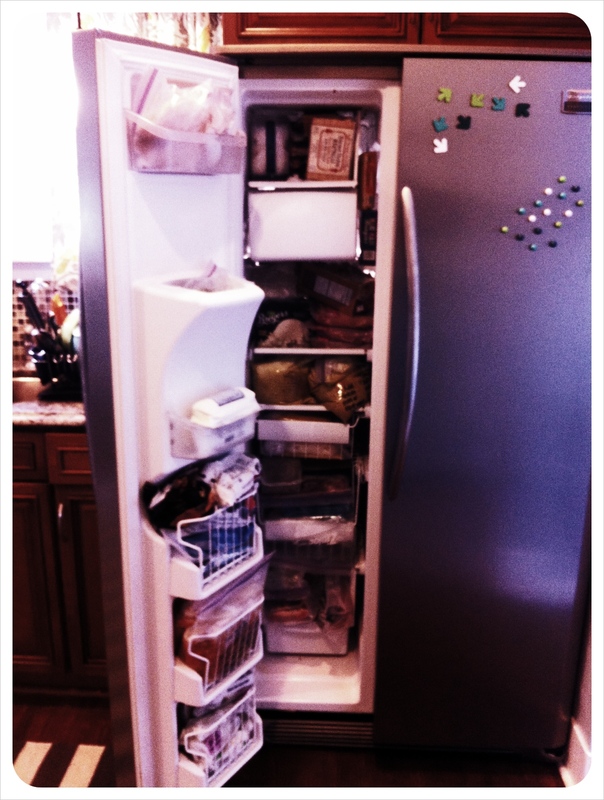 Once I had clean, organized, and cataloged my fridge, freezer, and pantry, I was ready for step 2. 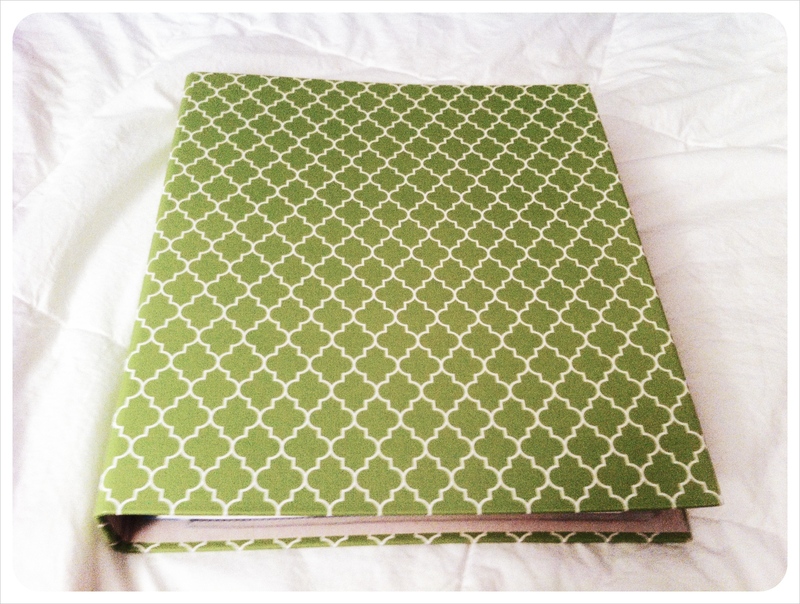 I gathered a pretty binder, dividers, and a few pockets for loose stuff to create a meal planning binder. I made a section for my in-stock list, shopping lists, recipes, coupons, and a calendar. 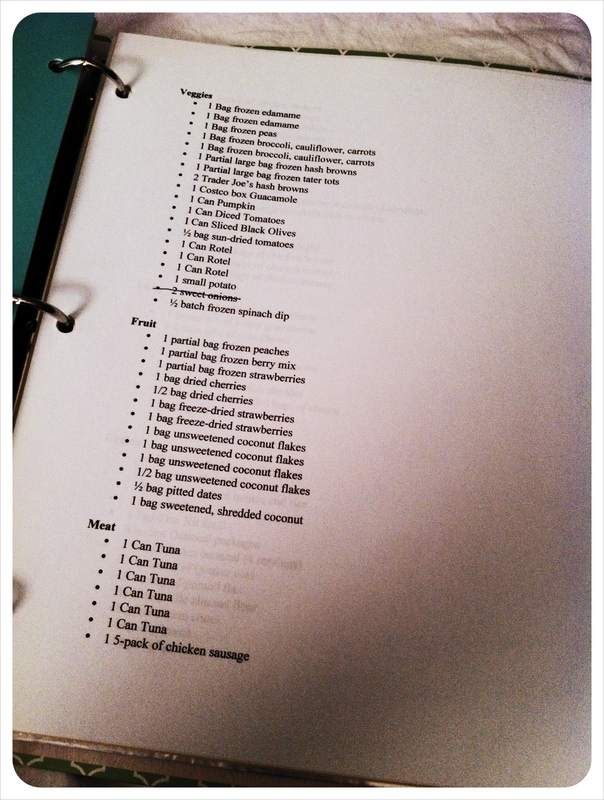 Then I printed off all of my go-to slow cooker recipes plus a bunch I’d pinned on my “Slow Your Roll” board. I also printed some pretty blank calendars for the next few months with plenty of writing space for step 3. I started with blank calendars and filled in standing meals out (like dinner every Sunday with my parents and date night with my husband every Friday), parties and dinner parties on our social calendar, travel dates, and holidays (thanksgiving, for example, means leftovers for a few days). I was left with about 4 nights a week of dinners I needed to fill in. Then I went through my collected recipes and looked for several that had some overlap in ingredients (carrots, onions, peppers, ect…). I planned to make a double batch of each recipe, so I went through my calendar and filled in my slow cooker meals until I had several months all filled in. (I made sure to make some nights as leftover nights too!) With my calendar filled in and my recipes selected, I made a grocery list of everything I’d need to make double batches of each recipe. Then I cross referenced my shopping list with my “in stock” list to ensure I didn’t buy stuff that I already had on hand. I pulled out any coupons I had for items on the list and was ready for step 4. After I hauled all the groceries in from the car, it was time to cook. 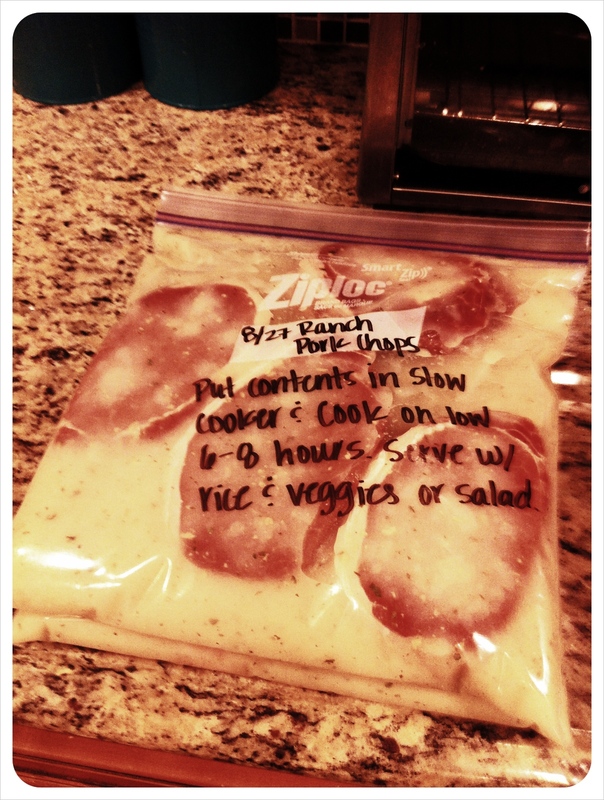 I started by writing out important steps for each recipe on the ziplock bags–like if I needed to add any ingredients before cooking or what to serve with the dish. Then I chopped, diced, sliced, and generally spent 3 evenings cooking like my life depended on it. 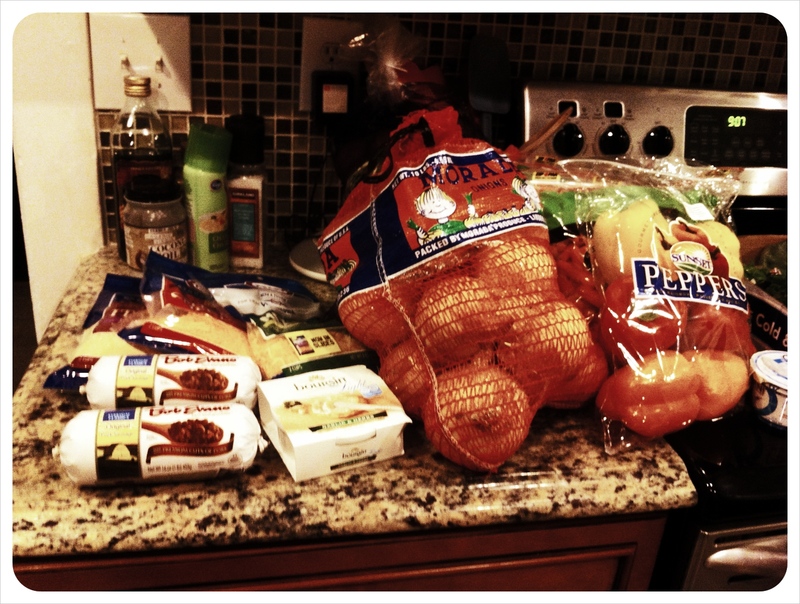 Although, I guess it would be more accurate to say prepping like my life depended on it. There was actually very little cooking involved–just mixing sauces, and making sure all the ingredients for each meal were prepped and put not the correct bags. It took a while, but now that I’m done, I have enough meals frozen to last me through Christmas. I’m not going to lie–there were a few challenges to this plan that I hadn’t anticipated. My freezer is now so full that it pops open if you close the fridge too hard and it can be difficult to remember where I put each meal to retrieve it for defrosting and cooking. I’m also pretty sure that my husband thinks I’m crazy–I asked him a question when he was drifting off to sleep and his answer was “What’s wrong with you? The freezer is full. No more food.” Not exactly a ringing endorsement. I asked him about it the next morning and he said seeing all tHat food on the counter, my hours of prep, and the packed freezer was like watching a slow train wreck and has referred to it as my slow-burn crazy ever since. But even he admits it’s a good idea. It just seemed like I had jumped off the deep end until I explained it to him. I’m still not sure how this will all work or if we’ll even like all of the meals, but I love the idea and I’ve got all my fingers crossed that this is a system that could really help me out. 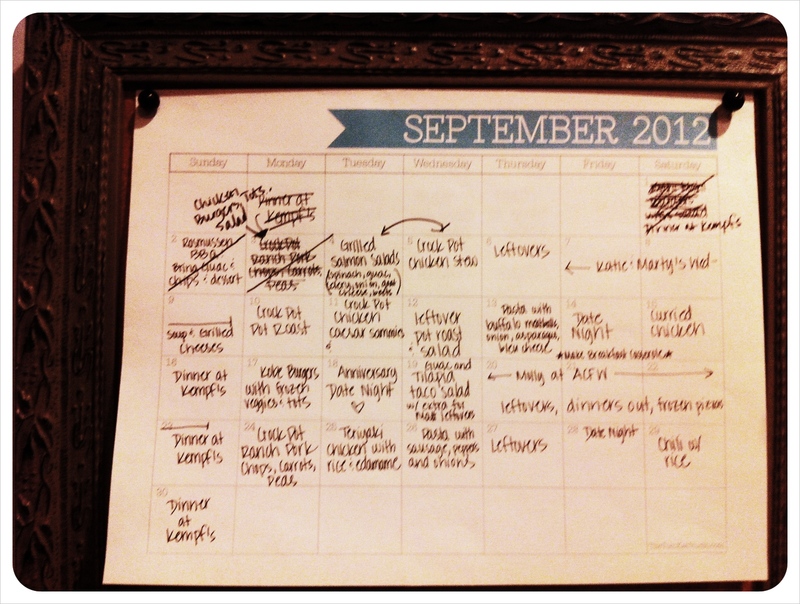 I love the idea of a little planning and prep meaning much less work for months at a time. So if it works, I think I may be adding a deep freeze to my Christmas list. One would look awfully nice in our basement. Anyone else tried this system? Or have another system that they use? Or just a deep freeze that they can recommend? 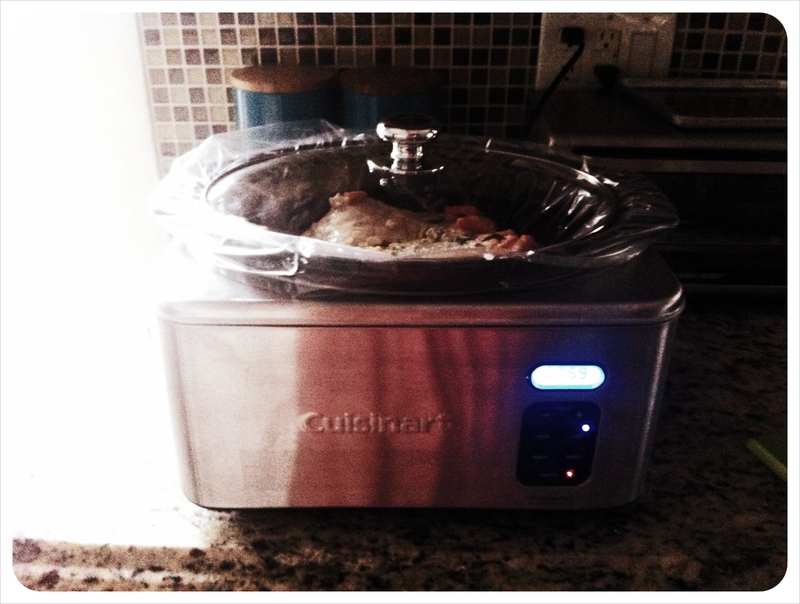 I can’t be the only one with slow burn crazy going on when it comes to my slow cooker, can I? This entry was posted in celiac, gluten-free, Healthy, recipes, slow cooker and tagged crock pot, gluten-free, meal planning, organization, slow cooker by mollykhodgin. Bookmark the permalink. Fabulous idea for making the crazy fall / Christmas season less crazy! Can you share some of the GF recipes or recipe ideas that you made? Jen, I will probably want it. If I can fit it down my basement steps–you know how challenging my little old house can be with it’s small staircases and doorways! I have discovered a few blogs that I think are well written. I want to share links on my blog-may I include yours? 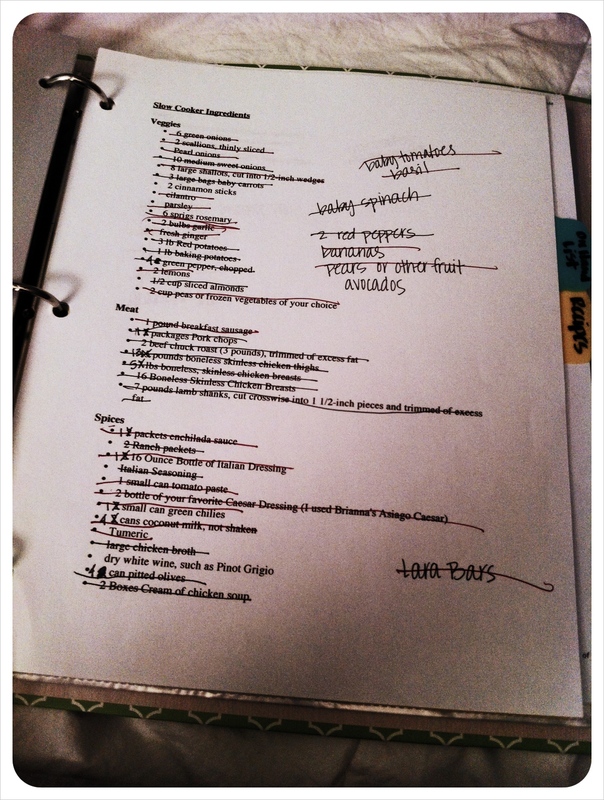 Very nice format-you are 1 organized lady.